Come and join us for the Post Easter Event at the beautiful area of the coastal bar Noray! 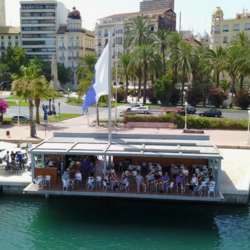 Meet your old friends, make the new ones or just enjoy the mesmerizing views of our Alicante Port. If you are new to the area, do not be shy and join us, too. We will be happy to introduce you to expats and global minds from all over the world. Parking is available at the Alicante Port. Closest tram stop is Luceros. Looking forward to seeing you again or for the first time!